Shhhhh it’s Quiet at the Aquarium time! 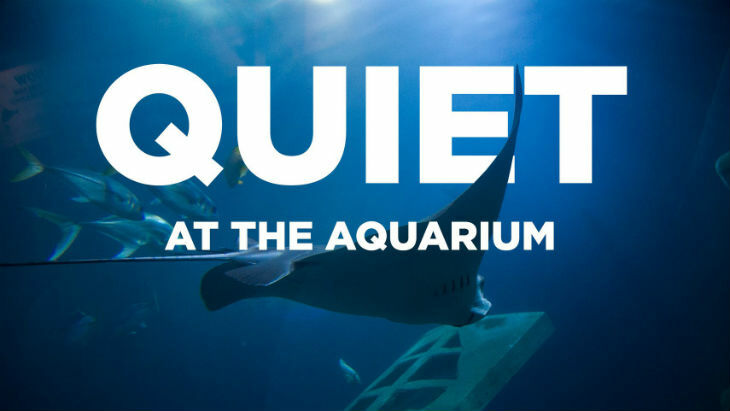 Ahead of World Autism Awareness Week (1-7 April) our bi-yearly Quiet at the Aquarium is back! Happening on Friday 29th March we’re opening our doors afterhours for another special two hour Quiet at the Aquarium event. This will allow families and individuals with sensory needs to enjoy our exhibits without the noise and distraction of our daily shows. Visitors will be able to explore our exhibits without the normal daytime crowds, so the focus is truly on our amazing animals. 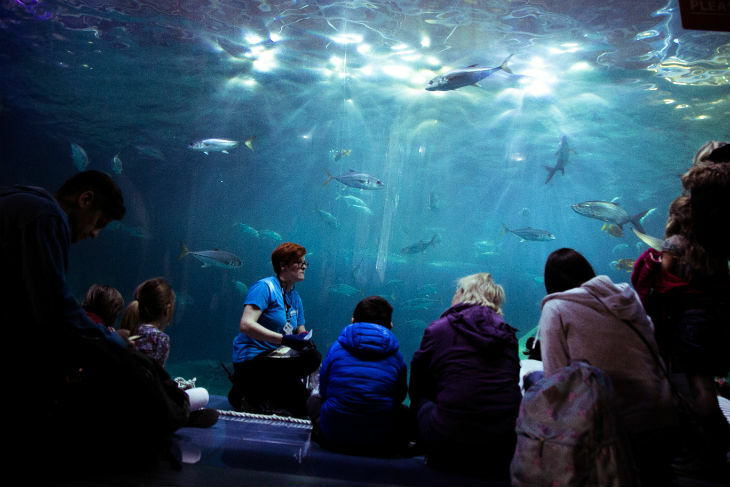 We’ll be keeping the Aquarium as quiet as possible throughout the event, to create a serene and tranquil atmosphere so our visitors can focus on the beautiful marine life that surrounds them. 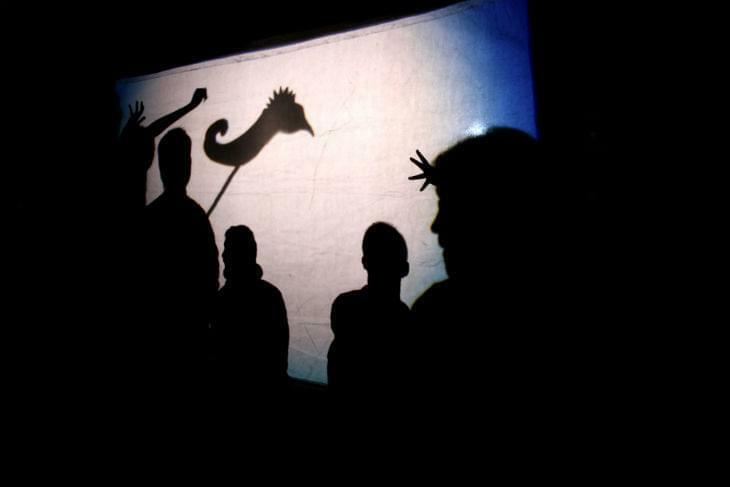 As well as our fantastic team of Hosts around the Aquarium with artefacts and sensory objects for our visitors to explore we’ll have the brilliant Far Flung Dance company joining us to run a shadow play workshop for the evening. Far Flung Dance Theatre is a professional integrated dance theatre company based in Plymouth. The company is a collective of disabled and non-disabled dancers, actors, musicians and performers.